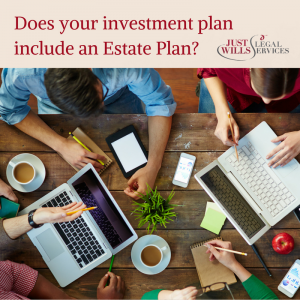 Does your Investment Plan include an Estate Plan? When you’ve worked a lifetime to create wealth for you and your loved ones, it’s galling to think that much of that work could be undone in an instant – with poor estate planning. So don’t be the one to unravel your own family’s security; find out what you need to know now, to protect your assets and investments. With rising property values, many of us have been pushed over the IHT threshold without even realising it. And if you have life insurance or a ‘death in service’ policy, that mortgage albatross could be transformed into a valuable asset when you are gone. You may have already put a certain amount of planning in place with your Financial Adviser – looking at different investment options, like AIM shares and IHT Isas, but the key to minimising your Inheritance Tax exposure is proper Estate Planning. An up to date, accurate estate plan can protect your spouse, your children, and even your grandchildren from paying an excess of Inheritance Tax. If you leave a simple Will for a complex Estate, or have not updated your Estate Plan to reflect changes in your marital status or number of children, then your Estate may be divided up in ways you didn’t plan for. Changes in Inheritance Tax legislation are being phased in from 2017 to 2020, so make sure you are up to date. For more information, see our free downloadable Guide to new Inheritance Tax Laws. Although you may have planned for your own children’s inheritance, if you haven’t put a trust plan in place with your grandchildren in place, your assets could be spent, squandered or lost in divorce settlements, or marriages to step-parents, before your grandkids ever see a penny. Not only does Trust Planning enable you to protect your assets from Will challenges, divorce, remarriage and other unpredictable factors, it also helps you to ringfence bequests for specific purposes. So you can earmark funds for university education, your grandchild’s first home, weddings, first cars, starting a business, or whatever you know to be most important to your family. A combination of revocable and irrevocable trusts can allow you to retain an element of access to and control over gifts that you give in your lifetime. Although there’s nothing to stop you from giving away parts of your Estate before your death, if done in an unstructured manner, you leave your family liable for a potentially hefty death duties bill after you are gone. (For more information on Trust Planning, read our free downloadable guide). A cross-border Estate Plan is where matters can get more complicated – and are set to get more so once we know how Brexit is going to affect this area of law in Britain. Under current EU law (still in effect, until we’re told otherwise! ), a UK citizen can opt to have their entire estate to be dispersed according to UK law. But to ensure this, you must make or update your will to reflect your wishes and the changes in the law since August 2015. This will more than likely change again when Brexit takes effect. While EU citizens with interests in more than one EU country will still be able to choose to be governed by ‘rule of nation’ rather than ‘rule of residence’, UK citizens will lose that option. The reason this matters is that UK inheritance law is governed by the principle of testamentary freedom – you can leave your Estate to whomever you like. Other EU countries, such as France or Spain, often have rules which prevent children from being excluded from Wills, or prioritise children over surviving spouses. In either case, our choice of which country’s rules to be governed by only applies to distribution of your assets, not to tax on the estate, so you may still need specialist advice on managing tax implications across multiple countries. If your estate is likely to go over the Inheritance Tax threshold, then your family could benefit from a charitable legacy. You could grant a bequest large enough to take your entire estate under the threshold or, if you have a large exposure, leaving 10% of your estate to charity can reduce your IHT liability from 40% to 36% tax levied on the amount over the threshold. Once all of your plans are in place, don’t forget the most important part – making sure your beneficiaries can find a complete record of your Estate Plan, your assets and investments after you are gone. So once you’ve spoken to our Estate Planning experts about your own Wills and Trusts plan, don’t forget to talk to us about our secure Document Storage Services. If you’d like to book a free consultation with one of our legal experts, book online or call 01342 477 102 and quote ‘Estate Planning for Investors‘.